When my son was tiny, I tried to convince the boarding school where we were working to install a children's playground for all the little kids in the area. I researched all kinds of amazing playscapes, but as I combed through photos and articles, one name stood out in particular. Sounds kind of scary, doesn't it? Don't be fooled. 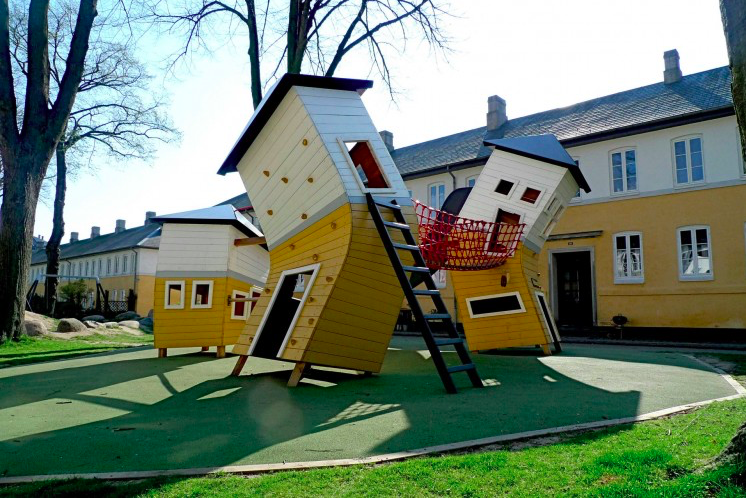 Monstrum is an incredible Danish design company that creates playgrounds based on stories. For example, they created "The Crooked Houses," to reflect the history of the neighborhood Brumleby in Copenhagen. They made the "Playground Cosmos" to represent the experience of being in the Russian Space program. How much do you suddenly wish you were a kid so you could go play there? I, for one, really want to climb up that long silver slide into the top of the rocket. You might be asking yourself, so what? How can this possibly relate to my English classroom? Well, here's the thing. Most playgrounds in the United States today look pretty similar. I have taken my tiny tots to playgrounds from California to Pennsylvania, and the colors, structures, and feel of the playgrounds are generally the same. They are brightly colored, relatively safe, and story-free. In a word, unoriginal. 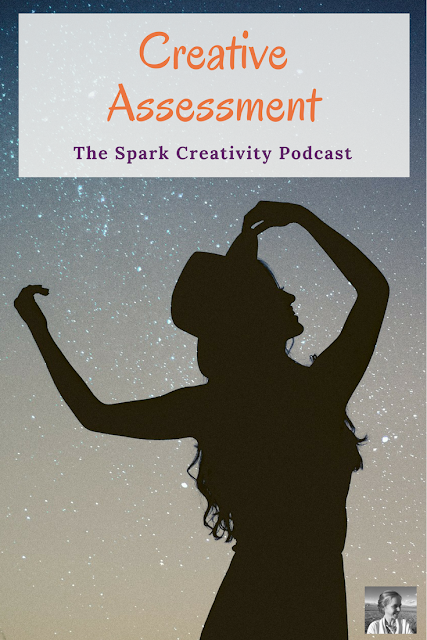 Which brings me to the topic of today's post and podcast, Creative Assessment. What are we really looking for in our assessments these days, to be relatively safe and blend in, or to build on the stories of our own communities? To extend the comparison, are we going to make our classrooms safe and story-free, or embrace the ideals of Monstrum? I vote Monstrum all the way. We need classroom activities that students can dive deeply into, assessments that engage students' imaginations and inspire their dreams, not just prove that they read from page one to page seven. A reading quiz doesn't have to be ten multiple choice questions that don't require any critical thinking or creativity. A final project doesn't to be a standard literary analysis paper. There are lots of other ways to find out if students are reading, thinking deeply, and learning to communicate what they know. Today's Podcast (number ten!) is about finding ways to let students show what they have learned that matter to them. That engage them in creative, fresh ways that relate to their own lives. Listen here or on iTunes for dozens of ideas on how to keep your activities, quizzes, and final projects creative and relevant in a world that values creativity and innovation far above the ability to memorize and color inside the lines. When it comes to creative assessment, it’s easy to get intimidated. You may feel like your colleagues will look at you funny if you deviate from the norm, that you are too tied to certain standards and types of writing to try something new, or that you can’t afford the technology or materials to be creative in the way you want. Well, this episode is for you. I’ll be sharing ideas for creative quizzes, daily activities, and final projects that you can be proud of. There’s no reason students can’t show the same skills in rigorous creative work as they do in whatever assessments you are feeling pressure to conform to. In my first two years of teaching I had students enmeshed in creative projects every month and I won my school’s new faculty award at the end of my second year. A) Hope they have read it? Hope really hard? B) Suspiciously call on students without their hands raised throughout the discussion in an effort to discover who has actually read? C) Give them a reading quiz with ten plot-based questions after checking to be sure those answers aren’t readily available in online summaries? D) Create an engaging reading check activity in which students write a blog post recommending or not recommending the book, based on those chapters, to other students around the world? Not to pressure you, but I hope D seemed like a good choice. Reading check quizzes are a force as old as time. We all want to know that our students are keeping up with the material. I remember being so mad in college when I listened to a classmate fake his way through class discussions, knowing the whole time he had not read our novel. Day after day. The professor appeared to have no idea. Of course none of us want to be that professor. But at the same time, quizzes that lean on memorization of reading facts don’t give our students much of a reason to engage. This type of quiz feels a bit confrontational, and definitely lacks creativity. If you’re ready to kick the old reading quiz to the curb, here are five creative alternatives. Each of these alternatives builds more analysis and creative thinking into the way students process the material to show that they have read it. 1. The High and the Low: Have students write about what they loved and hated from the reading the night before, defending their choices with specific evidence (of course!). 2. The Coffee Shop Script: Have students get creative as they write the script of a conversation between three or four characters from the reading. They can discuss anything, so long as they sprinkle in plenty of details from the reading. 3. Reading Blog: Have students write a blog post either recommending or not recommending the book to other students around the world, based on the reading. 4. E-mail from one character to another: in a world stuffed with e-mail, writing a good one is an important skill! Let students write from one character to another, including a few key details from the recent action in the novel. 5. 5 Headlines for a News Website: Let students imagine they are editing a news website covering the action in the novel. They need to hit the highlights for their readers. The big thing with each of these alternatives is to stress in your instructions that your students explain their ideas with DETAILS from the reading. They need to show you they have read as they work through these creative prompts. 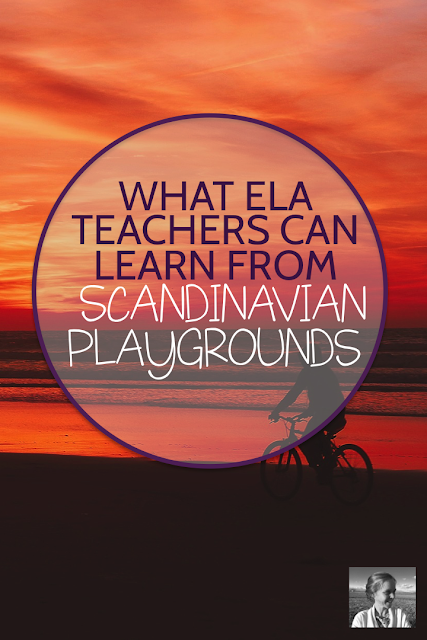 Classroom Activities can also easily fall into a rut. 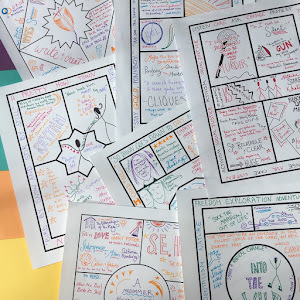 You want to assess student work in class, but how can you do it creatively, in a way that will matter to them? One great way is to talk to them about their interests in your discipline, and work toward those interests in your daily assessments. For example, here are three student interest threads and three activities for each. Imagine they were creating an instagram account for the novel you are reading, and they need to create a live video for each major character responding to the events of the reading. Imagine NPR was bringing on one character from the novel to interview in a news-style show. Record the interview. Mix a soundtrack for the chapters they’ve just read, explaining in an accompanying paragraph how the music represents critical themes in the text. Create a kickstarter campaign from the perspective of a character in the novel, to help solve his or her struggle in the text. Design a website for a chacter’s business. Propose a nonprofit that would help solve a problem confronted by a character or characters in the novel. All of these daily assessment ideas can easily be made rigorous. Creative assessment doesn’t mean a loss of rigor. For me, it means giving students a chance to show their skills in unique ways that expand their thinking and push their limits. Finally, we get to final projects. I’m sure you can already see that there are a million directions you could go with these. Here are three ideas to get you started. Let your students create an App for a character. As they flush out a storyboard for the App, explain the character’s choices and business plan, and explore why the character would create this particular App, students can use their tech skills, tap into interest in entrepreneurship, demonstrate their ability to write analytically, and get creative in their thinking. It just so happens that I have created a packet for this particular final assessment, and I would love to share it with you. Subscribe with the form below and I'll send it along immediately! Have your students do a mock trial. Mock trials are engaging and memorable, and give students a look at a popular career too. Inject MAKERSPACE into your assessment. Have students create something relating to the text and then use that creation to launch into a writing project. Maybe they create a photo essay based on the novel and then use those photos as inspiration for a brand new story. Maybe they create a painting of a character that really reflects his or her inner nature, and then they write an essay on characterization. Opening up the doors of the maker movement in your ELA classroom will lead you down creative and unexpected paths. I've written a blog post about this I think you will love, featuring the inspiring book Make Writing that first got me thinking about all this. Thanks for listening (or reading)! If you haven't subscribed yet, hurry over to iTunes and subscribe so you don't miss the upcoming "Going Back To School Creatively" series! And remember, support is waiting for you inside our Creative High School English Facebook group as you continue on your creative teaching journey.